HubSpot is a great all-in-one platform, but even the best all in one platform can’t do it all. For this reason, HubSpot offers over 200 pre-built integrations that users can connect data from other systems right into their HubSpot portal. From a user standpoint, this makes everyday tasks significantly easier, because it brings your data from various places all into one centralized location. To help you stay on top of the integrations they currently offer, here are the 6 most recent integrations they’ve added to their robust library. Maybe you’ll find a system you’re using now integrates with HubSpot or you’ll identify a new tool that can significantly streamline your everyday tasks. Think of Attentive as a personal assistant for your entire sales team. In an ideal setting, your sales team has a full pipeline -- and while this is good for business, it can also easily lead to some things getting lost in the mix. Attentive integrates HubSpot with Slack, creating an easy way for your sales team to stay on top of current deals and keep leads moving through the pipeline. With Attentive, your sales team can create deals, check deal status, and create tasks without even opening the HubSpot CRM. This makes updating leads almost as easy as responding to a coworker, ensuring things stay moving. Learn more about Attentive’s services here. View HubSpot/Attentive Integration page here. At some point in the buyer’s journey, it’s likely that your prospect will want to pick up the phone and talk to your team directly. The trouble is, any offline activity can be difficult to track and attribute back to that contact without a lot of manual effort -- and those calls often provide valuable data on how sales-ready this prospect is. With PhoneWagon, you can be confident that all of your offline data is still brought back into the CRM, just as any other online activity would be. This integration allows you to view all phone call history directly in HubSpot based on contact, or will create a new contact if the call is the first interaction they have with your business. You can also save call recordings, and view analytic data like the marketing campaign, keyword data, and source they found you from. Essentially, this means your sales team can close the loop on all activity leading up to a purchase, ensuring that all leads are scored properly in your database. 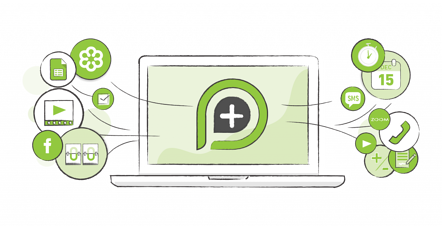 Learn more about PhoneWagon's services here. View HubSpot/PhoneWagon Integration page here. Marketing and sales teams have more access to data than ever before. While this is often celebrated, it can lead to a bit of “analysis paralysis,” where you’re drowning in so much data, you’re struggling to make sense of it all. For larger companies struggling with this, MAXG (Marketing Advisor for eXponential Growth) can be a great resource to compliment the influx of data you receive on a regular basis. 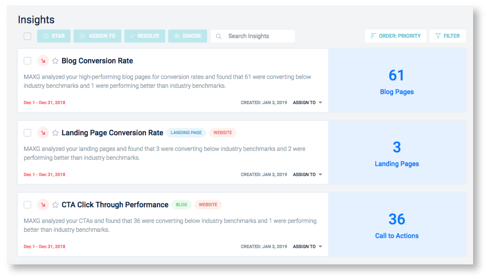 MAXG is an AI-powered tool that collects all of your HubSpot data and produces prioritized insights and recommendations for your marketing and sales teams. This provides more value than just a standard analytics dashboard and can help you make sense of a large dataset without the guesswork. Learn more about MAXG services here. View HubSpot/MAXG Integration page here. If your business uses multiple tools to execute your daily marketing tactics, PlusThis could be just what you’re missing. 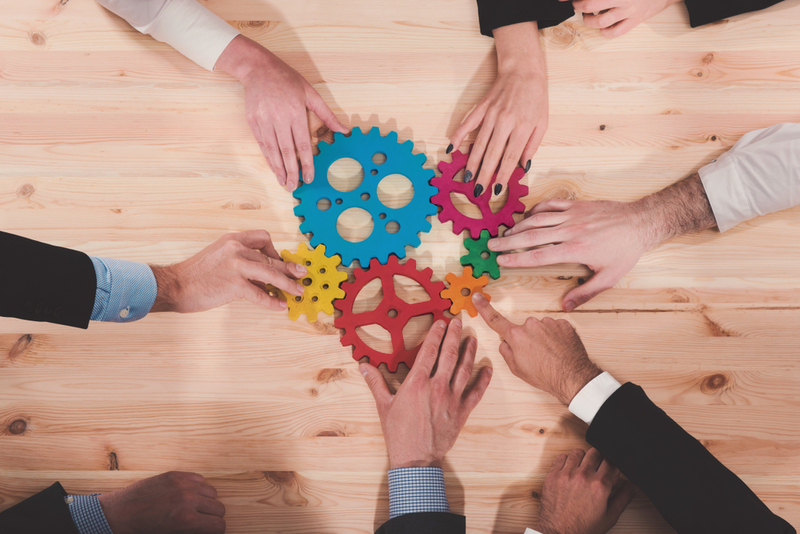 So, if you’re business is trying to find the right toolset for you, PlusThis may help, as it allows you to connect several sources of the most popular integrations without requiring you to set up each one individually. This way, you’re spending less time worrying about setup and more time generating better results. Plus, this adds additional tools each month, so you can explore new opportunities with each update. Learn more about PlusThis services here. View HubSpot/PlusThis Integration page here. Closing sales is important -- but not as important as retaining customers after they sign on. Moreover, an army of loyal promoters is one of the best ways to attract more like-minded prospects to your business. Wootric is a great tool to help you continually monitor customer happiness and consistently improve your customer experience. The tool provides business the opportunity to create and administer customer experience surveys like Net Promoter Score, Customer Satisfaction (CSAT), and Customer Effort Score (CES), to ensure you get the feedback you need to improve customer retention and turn customers into brand advocates. Learn more about Wootric services here. View HubSpot/Wootric Integration page here. As your tech stack becomes more complex, it can be increasingly difficult to automate your activities without significant workarounds. Integromat can turn your most tedious manual tasks into simple, automated workflows. It has a user-friendly visual builder, so even non-technical users can create clear paths with ease. While they have an impressive pre-built integration list with some of the most sought-after connections, they also have unique HTTP/SOAP and JSON modules, making it easier than ever to connect to almost any web service without writing a single line of code. This is great for large enterprises that consistently test various tools, or have different departments utilizing different assets you want to bring together. Learn more about Integromat services here. View HubSpot/Integromat Integration page here.